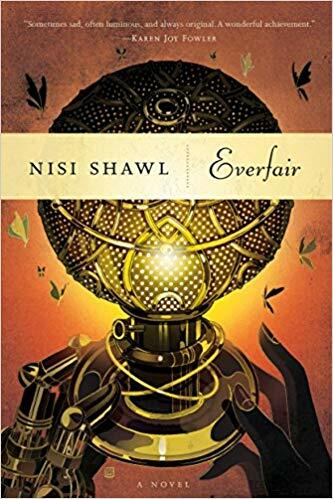 My first read for the Women’s Book March challenge is Everfair by Nisi Shawl! This steampunk alternate history re-imagines the Belgian Congo if King Leopold’s colonizing forces had been repelled by an alliance of native Congolese, African-American missionaries, and British socialists who then establish their own independent, multi-ethnic country, Everfair. 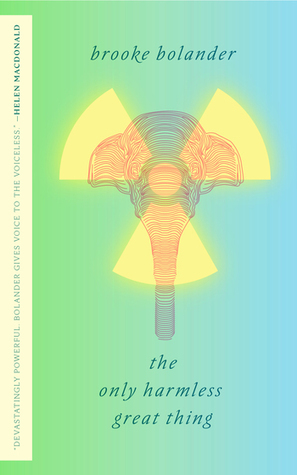 This novel derives from one of history’s most notorious atrocities: King Leopold II’s reign over the Congo Free State. The exact number of casualties is unknown, but conservative estimates admit that at least half of the populace disappeared in the period from 1895 to 1908. The area thus devastated was about a quarter of the size of the current continental United States. Millions of people died. The steampunk genre often works as a form of alternate history, showing us how small changes to what actually happened might have resulted in momentous differences … This is that kind of book. The result is an original, and at times deeply weird, story that unfolds from multiple perspectives over thirty years from 1889 to 1919. 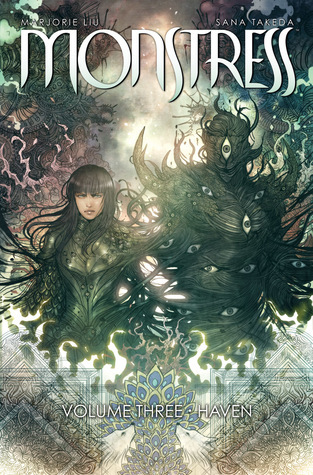 The alternate history aspects are deftly balanced with the steampunk, as well as some fantasy elements inspired by Congolese folklore. We see the newly minted Everfair through ups and downs, from its victory (at high cost) over the Belgian colonizers, to its dilemma over whom to side with in WW1, to internal racial tensions that threaten to tear the country apart. I thought the steampunk elements were very neat: people who suffered amputations at the hands of rubber barons get modular bronze prosthetic arms and hands; airships are a common form of transport; and factories turn out shonguns–based on a traditional Congolese bronze knife, the shongo, these are guns that shoot knives. How cool is that? At less than 400 pages, Everfair sometimes feels too short for its ambitious concept. The chapters unfold more like vignettes, separated from each other by months and sometimes years, than a single continuous narrative. The cast is huge, and though the characterizations we do get in each brief chapter are very good, at times I wanted to spend more time with a character to learn what makes them tick. There were a couple instances when characters had revelations “offscreen” which affected their perspectives or actions, and I would have liked to see those revelations play out on the page. All in all, I really enjoyed Everfair. Even though I wanted more, what’s here is lush and beautifully written and thought provoking. If you dig alternate history, steampunk, or stories told from points of view not usually represented–or all of these!–check this book out. Already read Everfair? Let me know what you thought in the comments! Hi everyone! This is a quick post to announce a new post series launching this March on the Expansion Front: the Women’s Book March! I’ve had it in my head for a while to challenge myself to read only books written by women and femme authors for a full year. I’ll be starting that challenge this March 2019 until March 2020. I’ll focus on women’s prose fiction for the challenge. 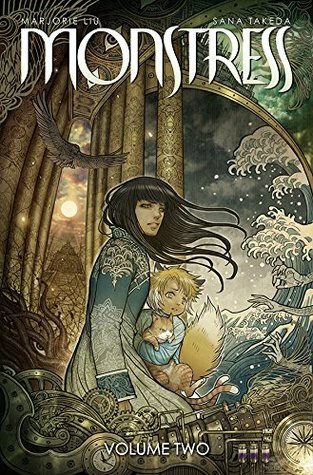 Graphic novels and nonfiction may also creep in, but my goal is to read more widely of women novelists, particularly in science fiction and fantasy. Since I’m trying to expand my horizons, I will limit authors I’ve previously read to 30%. The other 70% must be women authors I haven’t read! Assuming an average reading speed of 4 books per month, this means one can be a known author and 3 must be new authors. Once I’ve read a new author, she will move from the “unread” to the “read” category. I will define women and femme authors as cis women, trans women, and nonbinary people who identify as femme. I will write a summary post of my impressions on the blog and on Goodreads for each book I read for the challenge. 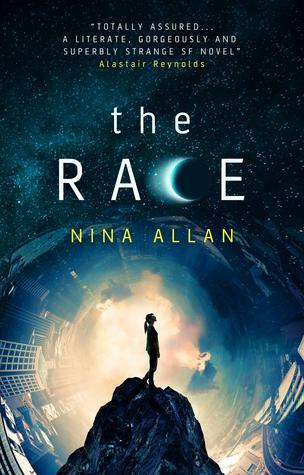 As an agender-femme person, lifelong science fiction fan, and now science fiction author, I’ve heard over and over that women don’t read or write science fiction, or that women make up a tiny percentage of sci-fi fans and authors. While less prevalent in fantasy, this stereotype needs busting. I hope this blog series reveals how many great female and femme spec-fic authors there are to choose from, and introduces me (and you, reader) to some awesome authors we would never encounter otherwise. To celebrate Absence of Blade‘s upcoming one-year release anniversary, I’ll be answering reader questions on Goodreads all September! Visit my author profile on Goodreads and ask me anything about science fiction, publishing, the writing process, or something random if you’d like. Did I mention there are prizes? Everyone who posts a question will get a free deluxe edition of Shadow Game, the newest novella in the Expansion Universe! Shadow Game tells how Gau, the embittered assassin in Absence of Blade, gained his first ally on the war-torn world of Rreluush-Tren. The story stands alone and is a great entry point to the series. Shadow Game will also be available for purchase on Amazon and other stores, or as a free download on this site when you sign up to my mailing list. What’s in the deluxe edition? 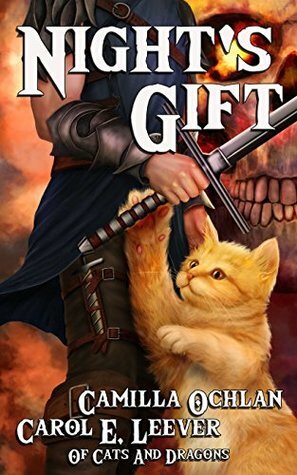 You get the novella, plus a special sneak peek into the next Expansion novel and bonus alien concept art by my very talented cover designer, Daniel Lambert! I asked Daniel to create totally new sketches of the Urd and the Arashal, two lizard-like alien species that feature prominently in Shadow Game. This art is exclusive to the deluxe edition. What are you waiting for? Head over to Goodreads and ask me a question! I saw Deadpool 2 last weekend. Despite a problematic, fridging-dependent premise, I enjoyed it a lot and thought it nailed the fourth wall-breaking, wisecracking tone of the original perfectly while engaging with some heavier themes. Yet something about the ending didn’t sit right with me. Of course, we know from comics canon why Deadpool can’t die: his mutant power is that he’s riddled with cancer that has a regenerative effect rather than killing him. But my question is why the film won’t let Deadpool die, even though its setup promises us that very thing. The film begins with Deadpool smoking a cigarette next to a figurine of Wolverine impaled on a branch, referencing the poignant ending of Logan and, presumably, drawing a thematic connection between the two movies. This is echoed in the trailer, which marketed Deadpool 2 as “Brought to you by the studio that killed Wolverine”. Spoiler: he doesn’t. Or at least not for good. Deadpool starts Deadpool 2 a broken man: his girlfriend killed by a criminal he was contracted to kill and let get away, their plans to start a family dead with her. With nothing left to live for, he tries to make his exit via explosion, but even that isn’t enough to get the best of his regeneration abilities. He gets a second chance when the X-men bring him along to de-escalate a rogue mutant situation. Deadpool learns that the rogue, Russell, is an angry kid who was abused by the director of the rehabilitation center for mutants Russell was admitted to. Deadpool’s arc revolves around getting through to Russell before he goes down a dark path of murder and destruction presaged by the cyborg time traveler Cable. Deadpool sees a lot of himself in Russell, and grasps at the chance to be a father figure to him. He comes to realize over the course of the movie that Russell, and the X-force team Deadpool assembles to save him, might be the family Deadpool never had. When he realizes nothing else is going to dissuade Russell from his vengeance, Deadpool puts on the mutant restraint collar that takes away his healing powers and tells Russell that if he has to kill someone, to kill him. When the ploy fails and Cable shoots at Russell, it’s Deadpool who takes the bullet. Deadpool is willing to die, permanently, to save Russell. And for a few minutes, I thought the movie was going to honor that. Deadpool has a drawn-out death scene where he says goodbye to his new family, above their protests, saying when they try to take off the collar to “let it happen”. As the audience knows, “I’ve been trying to do this for awhile.” He dies knowing he did a good thing, and reunites with Vanessa in an admittedly corny afterlife. Then Cable undoes it all with his time travel device because, as afterlife!Vanessa puts it, Deadpool’s family still needs him. Now, on its own, I thought the death and resurrection plot was set up well. Yet I couldn’t help but feel a little saddened at what the ending says about the state of Hollywood franchise fiction. In an economy where superhero movies are big business, it seems like the era of a popular franchise telling a complete story and then gracefully riding into the sunset is over. 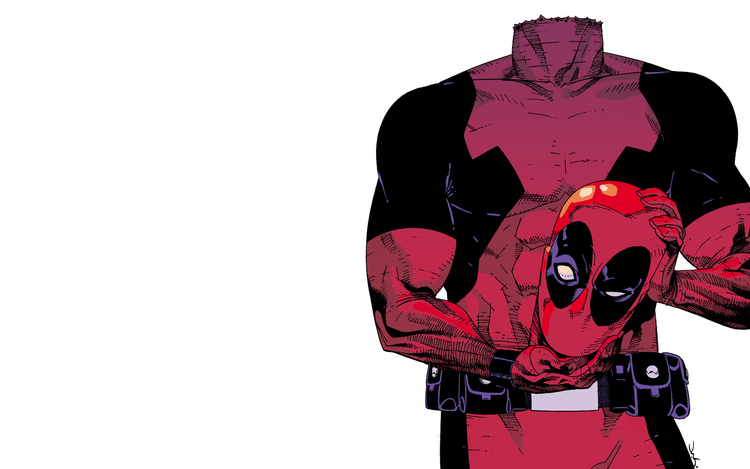 Deadpool can’t die, in the sense of his series reaching an endpoint, because the studio won’t let him. The argument could be made that the filmmakers are 100% aware of this, and that Deadpool 2 is a commentary on this endless cycle of reboots and resurrections, but that doesn’t mean the movie doesn’t participate in that cycle. In contrast, a film I thought was truly subversive was 2017’s Logan. An aging Wolverine is at the end of his rope trying to protect the now-epileptic Professor X from the feds in a world where mutants are outlawed. Logan faces a similar choice to rise above his own misery and help a band of young mutants, including the daughter he never knew he had, to freedom in Canada. Like Deadpool, he begins the film having lost nearly everything, and proceeds to lose even more, including his life. But unlike Deadpool, at the end Logan is still dead. His death is narratively satisfying because it’s permanent, and as such, gives greater meaning to every action that led him to this point. What’s at the root of narrative shyness about death? Aside from the profitability of popular characters, I think a lot of it is fear. I see stories that aren’t part of multi-million dollar franchises pull back from killing characters too. The fear is of the permanence of death. Once a character is dead, they’ve reached the limit of their capacity for change. They no longer change and they no longer act within the story. They’re no longer directly part of the story at all. Characters are engines of change, both in themselves and in how they affect other characters, so it’s understandable why writers might balk at the idea of removing a character altogether through death. However, in order for the changes a character goes through to make sense, they must coalesce into an arc: a progression of the character in which they face challenges to their goals, which forces them to grow. In order for an arc to be meaningful, it has to be definable; it has to have a beginning, middle, and end. And one potential end for a character arc is death. Philosopher Mark Rowlands defines death as “the limit of life… the horizon that permits individual events in that life to stand out … without this horizon, there is, in all essentials, nothing that means anything at all” . As in life, the choices that characters make and the consequences of those choices occupy space along a timeline which constitutes the character’s life, or at least the section we see. By establishing a character’s death and then walking it back, as in Deadpool 2, the story robs that character’s actions and their consequences of staying power. It robs the conclusion of their arc and the choices which led to it of meaning by saying “Whoops, that wasn’t the end of their story after all.” This not only cheapens the events leading up to their “death”, it cheapens everything that comes after, too. Because the viewer can never again trust the writers to commit to finality, to a single arc of challenge, growth, and change that actually sticks. I want the characters I love to change. I want them to grow. And yes, if it gives the life that came before it meaning, I want them to be able to die, too. Rowlands, Mark. Sci-Phi: Philosophy from Socrates to Schwarzenegger. 2003. New York: Thomas Dunne Books. 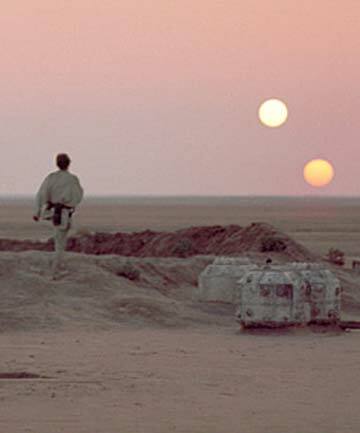 It’s an iconic shot: Luke Skywalker watches double sunsets as evening falls on Tattooine in Star Wars: A New Hope. Science fiction films like Star Wars, and novels like Brian Aldiss’ The Dark Light Years and Fire Time by Poul Anderson, have often featured habitable planets with binary or even trinary stars. But could humans–or any complex life–survive on a planet with two suns? What is a Binary Star System? Binaries are star systems with two suns. Trinary systems are also possible, but rarer than binaries. In fact, binary systems may be more common than our own single-star system: four-fifths of the stars in the night sky visible as single points of light are actually binary pairs. Our sun may even have been part of a binary system. The other star likely formed in the same cloud of gas and dust as our own sun, but broke off and joined the Milky Way’s stellar population billions of years ago. Binaries are classified based on their distance from each other (as either wide or close binaries), as well as how they look when observed from Earth (whether they eclipse each other in their orbit, for example). In a binary pair, one star may orbit the other, or the two stars may orbit around a common center of mass called a barycenter. Life in a Binary Star System? One thing is certain: binary systems make it even dicier for life to evolve. Double-star systems introduce more variations—sometimes wild fluctuations— in the amounts of heat and light (as UV radiation) received by any planet orbiting them. Planets with climates that regularly go from freezing to boiling aren’t likely to support Earthlike life, which depends on liquid water and a relatively narrow temperature range. Another factor is that binaries may make it more difficult for planets to form at all. The competing gravitational pull of two stars on a protoplanetary disk of dust and rocky fragments may disrupt the formation of those rocky grains into protoplanets. On the other hand, that same gravitational disruption may actually make it easier for protoplanets to form by “stirring up” the protoplanetary disk. However, scientists think that both non-circumbinary planets (planets that orbit one member of a binary) and circumbinary planets (planets that orbit both stars) could harbor life if they are located within both the system’s habitable zone and orbital stability zone. “Orbiting two stars at once, as our friend Kepler-47c does, makes life very elliptical, occasionally bringing the planet out of the zone. Life doesn’t take too kindly to frequently freezing over. So life that evolves on a world that dips in and out of the habitable zone might have evolved to withstand periodic freezing — by hibernation, or clustering around the lifegiving heat of deep-sea ocean vents. Periodic extreme heat might result in life that escapes the worst of it by burrowing, growing a calcified shell, or migrating to the cooler regions if the planet’s axis has a tilt like Earth’s does. We may also find extreme-heat-dependent adaptations, such as seeds that only germinate after forest fires. A montane plant called fireweed already uses this strategy on Earth. Irregular day-night cycles might result in life with bio-rhythms attuned to two or more day-night periods, or to shorter active and rest periods. For instance, some Earth animals like rabbits, deer, and fireflies are crepuscular, or most active at dawn and dusk. On a planet with potentially multiple dawns and dusks in a 24-hour period, crepuscular cycles could be much more common! Finally, exposure to higher levels of radiation and UV rays could have forced lifeforms to evolve powerful anti-oxidant and UV-blocking pigments to protect themselves from cancers and DNA damage. It’s even possible that their DNA (or equivalent hereditary molecule) could have evolved a more stable structure more resistant to damage. Current estimates suggest 50-60% of known binary systems are capable of supporting life–that is, their planets, if they have any, would be both in habitable and orbitally stable zones. I don’t know about you, but I like those odds! I drew on real science about binary star systems and how life might evolve on them to create the binary system in my novel, Absence of Blade. What’s the coolest fictional example of a binary star system you can think of? Tell me in the comments! Creative work, whether it’s fiction, art, music, etc., takes a special kind of energy. Like any work, creative work demands our attention and concentration. However, creative work is usually something we have to fit in around other time demands, such as a day job and chores. We write or paint or compose music because it’s fun, and because we’re passionate about it–but this same passion means it can be hard to take breaks when we need to. If someone were paying me for it, I could probably make a comfortable living reading those writing advice articles that tell writers to “write every day, whether you feel like it or not”. There’s something to be said for consistent practice, especially for writers who are just starting out. I have two serious bones to pick with those articles that hail producing every day as the key to success, though: first, they make no room for letting creative works lie fallow (more on this in a later article), and second, writing every day without stopping to recharge is a recipe for frustration and burnout. It can be tempting not to think of creative work as work–after all, at its best, it’s fun, a kind of play. But even play takes energy, and if you draw on that energy without ever replenishing it, eventually your energy will run out. That can be a bad place to be for a creative; it’s much easier to recharge while there’s still some creative energy left than to rebuild your reserves from zero. Step away from the screen or paper. When you’re in the middle of a creative project–especially if you’ve hit a roadblock–it can be tempting to stare at the screen all day, but it’s often better to step away. Take a shower, play with your pet, go on a walk–anything to get your conscious mind off the creative work. It sounds counterintuitive, but creativity research has suggested that the solutions to creative problems often come precisely when you’re not consciously thinking about the problem. When the conscious mind is occupied with other things, it gives the subconscious more room to churn and come up with creative possibilities. Make room for recreation. It can be tempting to devote every waking moment not taken up by your job and chores to your creative passion, but you’re doing yourself a disservice if you do. Spending some of that precious free time on fun activities that are ends in themselves not only helps you recharge creatively, it enriches life. Play videogames and/or sports, read for pleasure, watch movies–anything you like to do that isn’t directly related to your creative work*. *A word of caution: Avoid making excuses for your hobbies like, “Reading helps me be a better writer”, or “I watch movies to learn about writing in a different medium”. These claims may be true (I’d say they are), but approaching a hobby with this attitude means you’re still mentally at work when the point is to take a break. It’s not only okay to switch off from the productive mindset, it’s essential. Your energy levels, quality of life, and work-in-progress will thank you. Switch creative gears. If you’re in the middle of a longer project like a novel, and feeling lost or overtaxed, it’s totally okay to work on something else if you have the urge. Draw some line art while the latest layer of paint dries on your masterpiece. Write a short story while that novel draft ferments. I’ve written about the benefits of switching gears to clear your head between novel drafts, but sometimes it can help to step back in the middle of a work-in-progress to work on something unrelated. It can be even more stimulating to switch artistic mediums completely. That is, if you’re a writer, you might draw or paint. A visual artist might write fiction or do some journaling. Exploring an art form outside of your own can be a refreshing shock to the creative system. 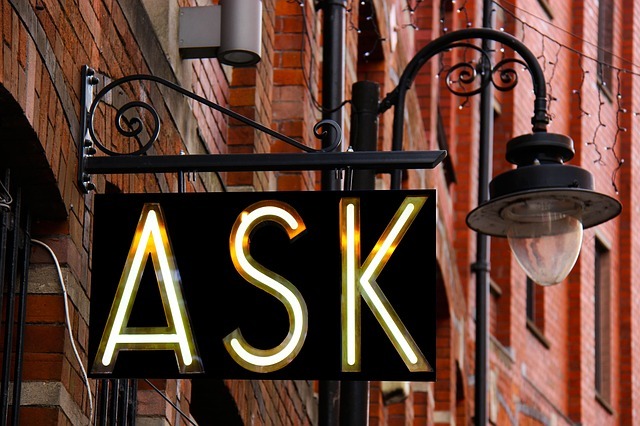 Plus, if it’s not something you do professionally, there’s often a lot less pressure to be “good”, and as a result, more willingness to experiment with the art form. And who knows, maybe something you create on the side will give you an idea you can use later in your chosen medium. 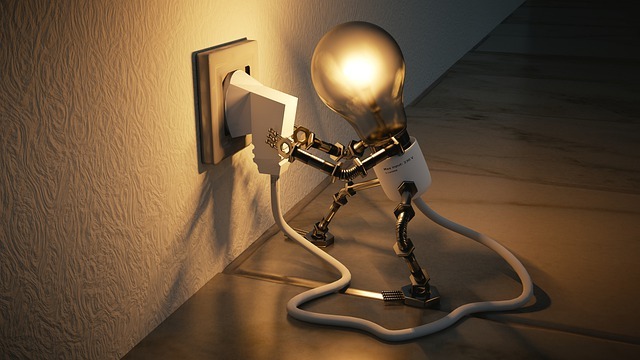 Taking the time to replenish your creative energy benefits not just you, but also your work. I mention above that the “write every day” adage doesn’t leave time for creative works to lie fallow; in my next article, I’ll dig into why sometimes writing means not writing, and why giving your finished work time to ferment is an essential part of the creative process.